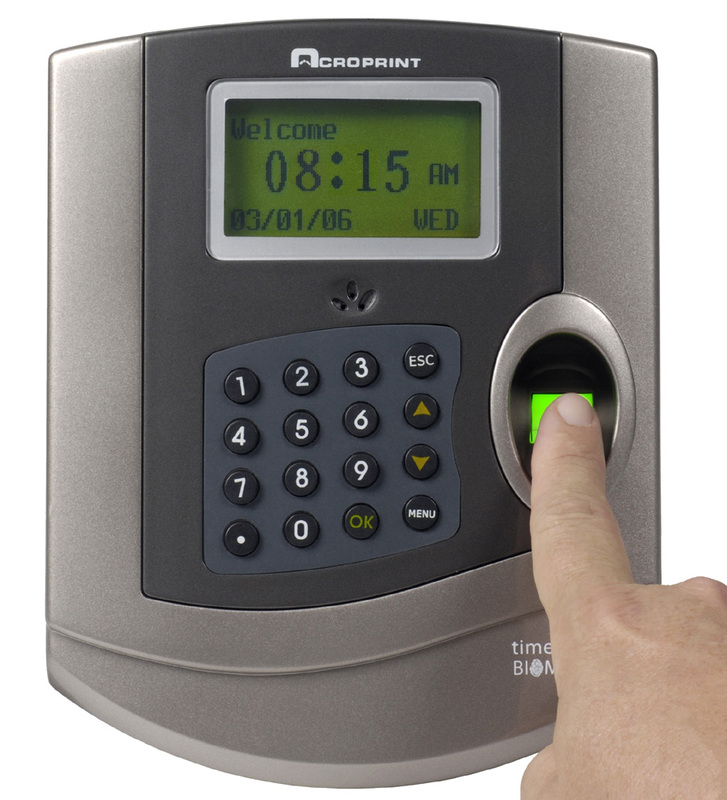 "Complete Time & Attendance System with Biometric Terminal"
Saves time and money. Eliminates "buddy punching". Automates employee time tracking. 125 employee capacity. PunchIn/Punch Out using your fingerprint or PIN number. Upgrades available. Automated time and attendance solutions are no longer only for big companies. Pyramid has made these solutions affordable for small to mid-size companies. Now you can capture time accurately, streamline your business processes, and reduce your expenses with TimeTrax EZ with the swipe of a card. Clearly, manageing payroll is an important responsibility for any company, but it doesn't have to eat up hours of valuable time each week. 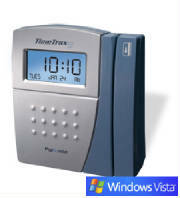 Pyramid has developed TimeTrax EZ, the first ever time and attendance system that is simple to use and will provide you with years or reliability. With powerful and versatile Windows based software, TimeTrax EZ provides a solution that is both highly capable and works in almost every industry. It features exporting capability that is compatible with most major payrol systems. TimeTrax EZ accomodates 25 Employees and 3 shifts, but is easily upgradeable to 100 employees as your business grows. The TimeTrax Pro Time and Attendance system's easy plug-and-play installation allows your company to grow from a single terminal to a multi-terminal system. The included software, designed for Microsoft Windows, is extremely easy to use. It comes with many features, including variable pay rates and pay periods, along with unlimited departments. TimeTrax Pro lets you export to most major payroll systems such as Quickbooks, ADP, PAYCHEX and many more. TimeTrax Pro allows for many options, including synchronized digital or analog wall clocks and bell/horn systems. This unique feature lets you sync all the clocks and employees in your facility to the same master system clock time. This will assure that everyone in the workplace is on the same time schedule -- saving your company money. An added feature is a numeric keypad for manually entering employee identification numbers. The keypad also allows for department/job transferring that lets employees (at different pay rates) move throughout the office. All of these features make the TimeTrax Pro the ideal solution for managing your employes' time, attandance, and payroll right from one centrall located computer.